Java is one of the most popular and paying languages globally. 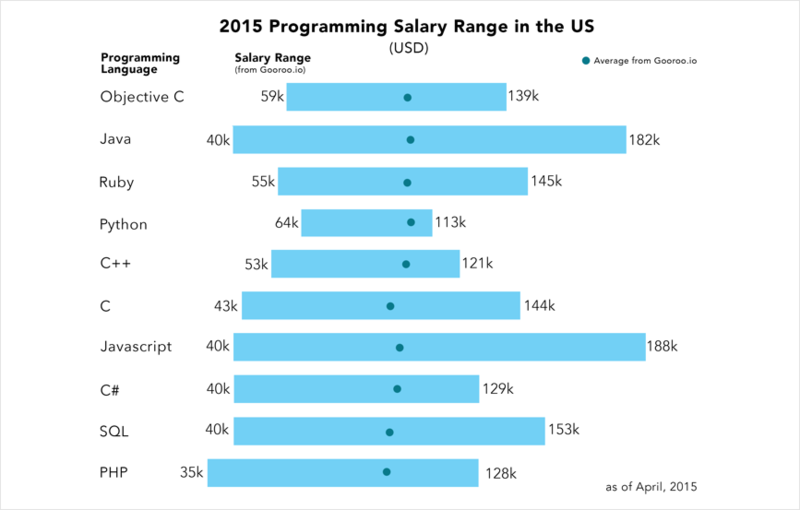 Here is report from Gooroo on the developer salaries for 2015. 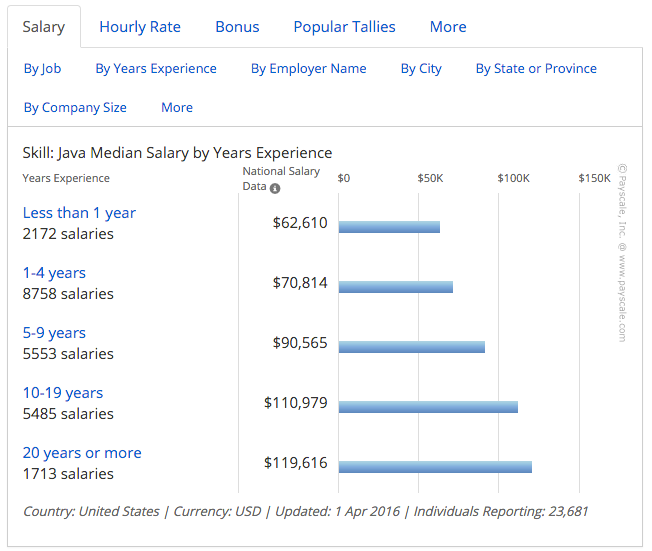 Here is the Java developers salary range in the US by experience.